Russian athletes are taking part in practically all competitions at the London Olympics, except football and field hockey. 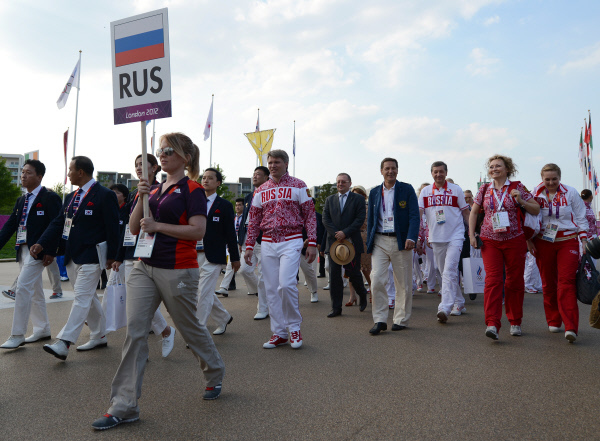 The national team comprises 436 athletes from 59 regions of Russia. "Of course, we have leaders, all our hopes rest on them. They are the synchronized swim duo of Natalia Ischenko and Svetlana Romashina, who have grabbed nearly all medals in the latest competitions; gymnast Yevgeniya Kanayeva, tennis player Maria Sharapova, pole vaulter Yelena Isinbayeva." The Russian female team is worthy of special praise. Female volleyball players are the tallest among all others taking part in the Olympics with the average height being 190 cm. All the rest female volleyball players are no taller than 186 cm. Only three girls have the height of more than 2 meters: Yekaterina Gamova, Yulia Merkulova and Tayyiba Mumtaz Haneef-Park of the U.S.
A few days before the start of the Olympics the FOCUS ONLINE website named Russians the most beautiful athletes at the Olympics. Maria Sharapova is on the list. She is carrying the Russian flag during the Olympic opening ceremony in Stratford tonight. "The Olympic Broadcasting Services, the host broadcasting organization for the Games of the London Olympiad, airs all competitions. But they do it using the so-called international signal to reach any country. They certainly name the leaders and show landmark events, which do not, however, always meet our interests." The test signal will be broadcast only during volleyball competitions to find out the best pattern to use during the Sochi Olympics in 2014, when all the events on the agenda will be covered. Meanwhile, Londoners and tourists are welcome to visit the Russia.Sochi Park in Kensington Gardens, which opened on July 26 to offer an interactive trip all across Russia, during which one can see some Olympic objects in Sochi and take a 4D funicular to reach the mountain peaks. Experts say that the Russia.Sochi Park is the largest Russian project ever presented in Britain. 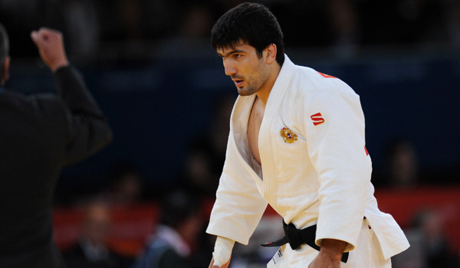 Arsen Galstyan wins Russia's first gold medal in Judo Men's 6Okg category. Armenian Judoka, no big surprise there. Russian cyclist Olga Zabelinskaya won the bronze medal in the women’s road race. Nikolay Kovalev (fencer) won also the bronze medal in the Sabre indivindual event. Αnother bronze for Russia in Men's 4x100m freestyle relay. Russia’s Mansur Isaev has grabbed Russia’s second Olympic gold overpowering Riki Nakaya (Japan) in the men's 73kg judo final. Ivan Nifontov won the bronze medal in men's judo 81 kgr category. Svetlana Tsarukaeva grabbed Olympic silver in weightlifting at 63 kg with a 237-kilogram total. Russia took the silver medal in gymnastics team competition today. Russians Yevgeny Kuznetsov and Ilya Zakharov snatched silver in the men’s 3-m springboard event Wednesday. Russian cyclist Olga Zabelinskaya has won her second medal at London 2012, coming third as a single in the road race. Russia’s Sophia Velikaya won the silver medal in women's induvidual sabre fencing event. Six medals - one gold, two silver and three bronze were won by Russian sportsmen on the sixth day of the Olympic Games. The silver was won by Russian fencers (Inna Deriglazova, Larisa Korobeynikova, Aida Shanaeva, Kamilla Gafurzianova)in the womens team foil competition. Viktoria Komova has claimed the silver in the individual gymnastics all-round. Bronze was also won by Alia Mustafina. Vasily Mosin also won a bronze in the double-trap shooting event. Yulia Efimova won bronze in the final heat of the 200 metres breast stroke. Sharapova sets up Olympic semifinal with Kirilenko. This means that Russia secured a place in the final and therefore at least a silver medal. Meh, I used to care about the Olympics. I appreciate your sentiment... it is all about the gold medals and little else. I remember an "athlete" called Eddie the Eagle, who was just your average British guy who liked ski jumping. He competed in the Olympics and often came last and became a bit of a joke. I saw him being interviewed one time however and he spoke very well and talked about the spirit of competition and the coming together of nations and all that stuff that seems to have been forgotten these days, where money is everything and afterwards there is no reflection on the state of sport in the world or your region... there is just an audit... how much did we spend training athletes in these games and how many medals did we get. A good return and everyone is happy... a bad return and it all needs to be fixed by next time or else. The purpose of the games is now who gets the most medals and can therefore crow about it to their opponents... clearly lost the focus. Yeah I know exactly what you mean. You should have seen the nerd rage against the Russian national football team after they flopped out in this year's Euro Cup. I must have been the only guy that was 'well OK unlucky guys, better luck next time and all that'; everyone else was raging - what are we paying these fat, ugly good for nothings for, bla bla bla. ussian wrestler Roman Vlasov won this country’s fourth Olympic gold on Sunday with a 3-0 victory over Armenia’s Artsen Julfalakyan in the men’s 74 kilogram Greco-Roman wrestling event. Hmm, well 3rd place in number of medals now. I thought Russia looked terrific when they started the Euro Champships football. Maybe they didn't pace themselves enough and lacked a bit of the tactical side. But it looked a really entertaining team. I've been a bit surprised with the Olympics. 1st I thought Russia would be getting more medals by this stage. And I'm also surprised that Britain got so many. Its definitely a case of target what events u can win and throw a lot of money at it. It is becoming like a conflict... find your strength or the other guys weaknesses and fund solutions to make sure you win. Of course you have a couple of months ahead of you where political fools will do the accounts and work out how much these medals actually cost you and how many austerity measures would not have been required if the Olympics were held in Paris instead... that is always fun. Host nation always does well since they usually have huge contingents compared to other events.